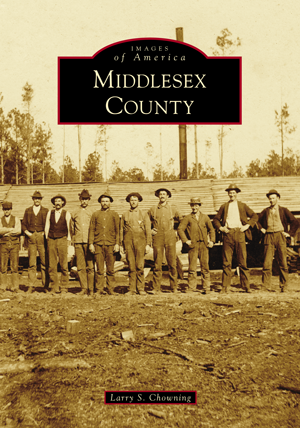 This, from Arcadia Publishing, so perfectly describes the Images of America: Middlesex County book by Larry S. Chowning. If you’d like to order a copy of this book, click HERE. Chowning, author of 10 books, is a native of Middlesex County. He has lived here his entire life with the exception of the four years he spent at the University of Richmond. Chowning is a staff reporter for the Southside Sentinel, the county’s weekly newspaper, and an avid supporter of the Middlesex County Museum.